"More than ever before, the materials processing industry needs experts from both inside and outside Germany. That is why it is so important to us to foster the initial and further training of young people. At the same time, students who are about to graduate need a platform on which to introduce themselves to potential employers. Participants in 'Campus' can, therefore, get floor space free of charge and, if they would like one, a free ready-made stand into the bargain," says Michael Jänecke, Director Brand Management Technical Textiles & Textile Processing. 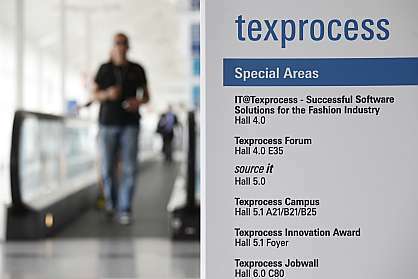 As well as the Campus area, there is the Job Exchange at Texprocess, which provides information for school and university students about internships, thesis topics and vacancies for jobs available amongst the exhibitors. Additionally, to facilitate discussions, there is a meeting area as well as an online job exchange. At the same time, all participants can visit, at no extra charge, the concurrently held Techtextil, the leading international trade fair for technical textiles and nonwovens. Ticket vouchers are available on request.